If you’re not taking advantage of social media, you’re missing out on one of the simplest and most inexpensive ways to engage customers and promote your business. Social media can help you increase traffic to your site, grow your email list and get more customers. 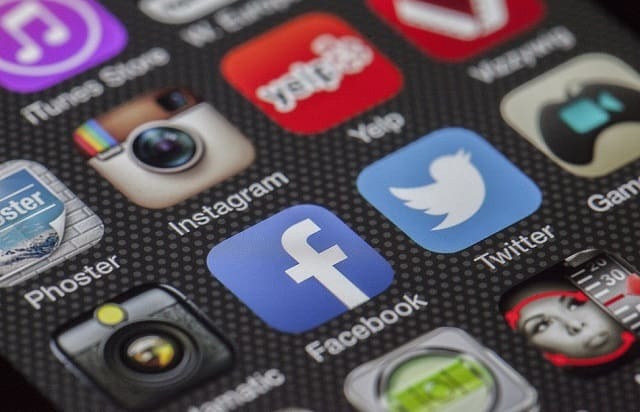 And because it can seem scary when you’re getting started with social media marketing, here are some quick and simple tips to effectively promote your business on social media. These days, having a decent Facebook marketing campaign is essential to growing your business. To gain more exposure, you need to know how to leverage Facebook ads effectively to grow your business and reach a larger customer base. Facebook ads are ideal because they allow you to target customers and reach a specific audience. People may complain about ads showing up on their Facebook or Instagram feed, but the truth is that those ads are specific to their interests and search history. Use the Facebook Ads Manager to create a target audience for your Facebook and Instagram ads. Facebook’s targeting function helps you to go after specific demographics based on a variety of factors like age, gender, interests, hobbies, etc. It’s crucial that customers see that you are active on social media. Post regularly on your page to keep your customers engaged and always post on behalf of your business page, not from your personal account. If you want to improve the return on investment (ROI) of your Facebook ads and Instagram marketing strategy, take a quick look at our Facebook page marketing hacks. You should consider using YouTube to market your business to reach a broader audience, improve brand awareness and generate more traffic to your site. YouTube is one of the most popular search engines in the world, so if you want to generate more views on your videos, you need to optimize your channel to boost your visibility. The best way to get more views is to use lots of keywords, so use relevant tags on your videos for higher visibility. Make sure to include your keywords in the title of the video as well as in the description. Make use of tools like the Google Keyword Planner or Tube Buddy to find similar words to your keyword for additional tags. Or you can use keywords from tags listed in popular videos to increase the likelihood that your video will be a suggestion when someone watches that video. Once you’ve done everything you can to improve visibility on YouTube, you’ll want to promote your channel on other platforms for even more visibility by embedding your videos in your blog post and posting them on other social media sites. The good thing about YouTube is you can do it on the cheap, no expensive equipment needed. Some of the most successful YouTubers have been simple vloggers. These days, it’s all about the reputation and credibility your business has on social media. Customers want to buy from trusted and authentic sellers. One of the best ways of gaining credibility on social media and increasing brand awareness is by reaching out to celebrities or micro-endorsers. YouTube sensation Joe Sugg used the platform to promote his graphic novel series and quickly shot into stardom, which led to him appearing as a contestant on this year’s Strictly Come Dancing to generate further interest and awareness of his brand. New research from the GlobalWebIndex found that over half of all web users follow some celebrity on social media, and those aged 16 - 34 are more likely to buy a product that has been endorsed by a celebrity. You want to choose an influencer who will add to your brand image and promote your product, so focus on making a connection between your brand and the person endorsing it. Working with social media influencers, especially a popular celebrity, is an excellent way to lift awareness of your brand and build up a good reputation. Their followers will see a more personal connection between your product and the celebrity. Such a marketing strategy will help customers familiarize themselves with your brand as well as drive free traffic to increase your SEO and give you a better chance of ranking higher in Google search engine results. I hope you enjoyed this article about how to better promote your company with social media marketing. Interested in more articles about social selling?